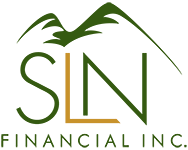 December 6, 2017 - Save More Money With These Tips | SLN Financial, Inc.
No matter your stage in life, saving money is essential to ensure you can afford your lifestyle. Yet, Americans have a money-savings problem: 69% of people do not have $1,000 in savings. Without this financial buffer, we end up with little wiggle room to protect our financial standing should something like an emergency arise, among other concerns. One hurdle to being able to save more money is that our everyday habits can easily derail us from savings goals. But with some simple tweaks to how you spend (and save) your money, you can build up the funds you need to support you down the road. Americans regret not saving enough money. In fact, according to one study, people’s top 2 financial regrets are not saving enough for retirement (22%) and not saving enough emergency funds (16%). A quick, easy way to save more money is to automate your savings. By setting up money to automatically deposit into a savings account, you not only build consistent funds‐you avoid spending those extra dollars. Whether you direct that money to a retirement or high-yield savings account, creating an effortless process for building those savings will help you in the long run. Americans really love to have other people cook meals for them. In fact, one study found that 90% of people don’t like cooking. As such, we’re spending lots of money at restaurants. The average household spends at least $3,008 annually dining out. By opting for meals at home, you can avoid restaurants’ typical 300% price markup and put these savings in your pockets. Imagine what you could do with an extra $1,500 each year? If you plow through new books and movies, you can save money by renting from your local library. Beyond books, most libraries carry audio books, music, and movies that you can rent for free. So, let’s say you buy 2 new books a month for $20 each. By swapping those purchases for a free weekly book rental, you can save $480 annually. Expenses like car payments, insurance, gas, maintenance, and even road tolls can easily eat up money. And according to one study, people spend an average of $2,600 annually to drive to work. Though only 9% of people in the U.S. carpool‐compared to the 76% of people who drive by themselves during their commutes‐carpooling can significantly reduce expenses. For example, a person with a 20-mile commute can spend $102 each month to drive alone; meanwhile, a 3-person commute pulls those costs down to $34 per person. Saving money does not have to be challenging or unattainable. With the vast amount of money-saving and budgeting apps available today, using technology to help you is just a swipe of your finger away. Plus, with professional guidance, you can have objective support and strategies to help you reach your financial goals.